So I ran out to K-Mart and picked up some golf shoes and I rented clubs at the pro shop and we played the back nine. It was hot -- so hot -- and we agreed to limit my hacking at the ball to six swings on par three’s and eight swings on par four’s and five’s. And, oh boy, it was hot and Jim did have a lot to laugh at, especially when I refused to look for my ball in the rough – I just knew there were copperheads, spiders and rattlesnakes in there. Oh my! “Oy,” I said. And I thought that perhaps if I looked more like a golfer, I might play better. So I went to a golf store and bought a pair of bright red plaid trousers – I’m talking blood-on-the-sun bright red! But when it became time to change clothes and go to the club, I lost my nerve. I wasn’t a golfer and I hadn’t earned the right to wear the uniform. So I wore my chinos and headed out. We played the front nine on that second day and on the first par four we came to I made par! I don’t know how. I probably didn’t do anything right; I just got really lucky. The exhilaration was immediate. I thought my heart was going to thump right out of my chest! And if that was the last hole we played, I might still be a golfer today. But no, we played the rest of the nine holes and I got my usual six’s and eight’s. What frustration! What disappointment! What a stupid game!! I never played again. Why would anyone want to go through that angst on a regular basis? But in the process of relocating from Charlotte back up to Brooklyn recently, I found those preposterous pants in my closet. I tried them on to see how they looked but apparently, as many of you know, apparel has a tendency to shrink over the years, hanging in a closet (it probably has something to do with climate change). So I included them in the four or five bags of clothes and housewares I left out for the National Kidney Foundation pickup. And the next morning, when I was going out for a Starbucks, the pants were back on my doorstep with a note saying – we’re not that desperate! So I’m not a golfer, but I know what supplies will result in a competitive advantage to those of you who do embroidery for golfers. These are products you will want to have readily available in your machine room. Get some thread with a demonstrated reputation for withstanding the sun’s rays – increased UV protection is what I’m talking about. Golfers, duffers and hackers all play the game in the sun and no one wants their beautiful embroidery to get bleached by the sun and fade. 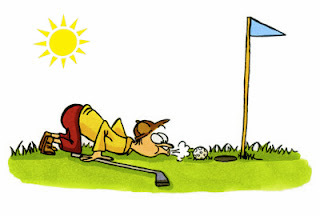 The same is true of non-apparel golf items – towels, golf bags, club head covers, gloves and pin flags. An additional benefit to the thread I’m thinking of is that its vivid colors and weight make it ideal for the small lettering associated with country club logos. Unfamiliar with what I’ve described? Just ask me. Through the ages, embroiderers have always been known for their high intelligence, enthusiasm, resourcefulness, great courage and good looks. It puzzles me, then, why so many current artisans of the embroidery craft exclude metallics from their repertoire and, in fact, avoid using metallic thread to the extent of not even mentioning it to customers. BABIES! CHICKENS! Cluck, cluck! There are no GOOD reasons not to use metallics, which can breathe life into otherwise ordinary or boring embroideries. I strongly recommend you try 50 weight metallic. This size metallic thread doesn’t require any special digitizing, can be run with your regular 75/11 needle and can be used in practically any stock design, replacing a standard 40 weight thread. Its thin construction enables you to do small lettering. So, let’s deal with some of the reasons (and myths) embroiderers have used to avoid metallics. 1. It’s expensive. Ok, I’ll give you that; it is more expensive than the top rayon or polyester thread you normally use. On the other hand, you should use it frugally, saving it for highlights, for emphasizing parts of the design and not for large fill areas. And you can charge more for it. 2. It requires special digitizing. No, not “special digitizing,” but the design must be programmed for metallic thread so that the density is lowered, allowing for the metallic threads to lay into the garment properly, without looking uncomfortably cramped into a small space. If the design isn’t digitized with metallic thread in mind, you can experience thread breaks as the stitches are “forced” into the too-small space. 3. You have to change needles. Not necessarily; though for the heavier sizes, such as 20, 30 and 35 weight, you should switch to 100/16 or 90/14. For the lighter 40 weight metallic, you can use an 80/12 or in some cases, don’t even have to change your 75/11. And remember that with the thinnest size metallic, the 50 weight, you change nothing! Except for the brilliant shine reflecting off your embroidery that may require the use of sun glasses, you need to change nothing. But okay, technically, for the heavier weights and twisted foil metallics, you may be changing needles. 4. You will have to reduce your machine speed. Yeah, you should slow it down somewhat. Metallic threads are not as “supple” as rayon and polyester and at high speeds, changing directions might result in a thread break. Speeds between 600 and 700 stitches per minute should work ok.
5. Tensions have to be readjusted. So, metallic thread, being less supple than other top threads, tensions generally needs to be relaxed, looser than normal. 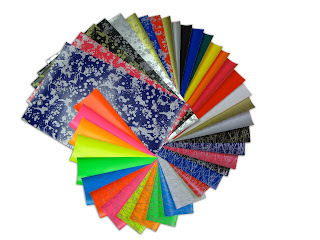 You should try a sample run before starting production and, after getting the tensions properly adjusted, the metallic will run as well as rayon and polyester. 6. Special backings? No, not really, but you should avoid very stiff backing and material as they may be too abrasive and shred the thread. a. Don’t spray the thread with silicon or anything else. b. Don’t put it on a stand across the room or in a different room. c. Don’t heat it or freeze it. d. Don’t lay the thread sideways or upside down. These methodologies are used as a substitute for using good quality thread. but it starts with getting samples. the more “memory” the thread has when coming off. c. Use the right sized needle. e. Loosen the upper tensions. So, why bother making the changes to your embroidery life by introducing metallics? Because the results, esthetically and profitably, make a little bit of bother more than worthwhile. Even a small amount of metallic silver or gold, in place of gray or yellow, richly enhances a corporate logo or any embroidery. So, don’t be chicken! Use metallics! Start with the 50 weight; it’s the easiest, requiring no changes to your machine. Then move into the heavier weights, after you’ve gained some confidence. Finally, segue into the rich variety of specialty threads available in the marketplace to enhance your product offering. The decision is being made in a variety of ways. If you’re buying an existing business from someone, you’ll carry on (at least in the beginning) with what was being used. If you’re starting a new business, you may use the recommendation of the machine sales person or continue using the thread that came on your new machine. If you’re the “creative” partner, you may take the recommendation of your “business-head” partner and choose Polyester over Rayon (“No-brainer, Dude, it’s 30% cheaper!”). The most prudent way to make the decision should be based (85%) on the type of embroidery business you do (or will do) and the balance (15%) on what thread you like best. But you should understand the properties of both types of thread. Rayon thread is made from wood pulp and is therefore a renewable resource (important to us “tree-huggers”). It takes the place of silk thread, which was used for centuries when all embroidery was done by hand (and I was young, so young!). Machine embroidery requires a stronger fiber, hence rayon. (I love saying “hence”.) Rayon has a soft hand, or feel, even when the stitch count is high, keeping the embroidery and fabric in balance. It has a silkier sheen and warmth; the color is especially sensitive to light refraction, which makes the embroidery look more vivid and appear to have more depth. Finally, its low elongation (stretchiness) and flexibility prevents looping and puckering (trust me Newbies, you don’t want looping or puckering). I should add that rayon is color-fast and responds very well to washing (203 degrees F) and dry cleaning, except where chlorine bleach is a requirement (No, no, no!). Polyester is a synthetic fiber made from polymers (no idea what that is! ), a by-product of petroleum (not a renewable resource!). Its use as an embroidery thread started to explode when embroidery went from mostly fashion wear and home decorating (remember, before NAFTA?) to include outerwear, sportswear, uniforms and corporate apparel. A more durable thread was needed, hence (love it): polyester. Polyester thread is shiny, strong, holds color very well and is impervious (liberal arts education!) to chlorine bleach. It has a stiffer feel though, especially in high stitch count designs, and the colors, while bright, are not as lively as rayon (my opinion). So, if you are doing items that will be used more as fashion items (fine ladies apparel, formal gowns and lingerie, corporate wear, and leather jacket backs) or as decoration (lamp shades, draperies, table clothes, photo album covers), basically, items that will be handled carefully and not abused, go for using the rayon. If you are embroidering something that is going to be receiving tough treatment (caps, denim jacket backs, chair backs, car seat covers, canvas boat covers, stadium blankets) or items that are going to be washed a lot (uniforms and baby clothes) by persons who don’t always read laundering labels, consider using polyester thread. To pick the brand of thread to use, see my first Blog #1 – Choosing the Best Embroidery Thread. Welcome to Madeira USA’s newest service: Embroidery Technicians Page. Use this page to research a machine tech when you need one. We’ve researched and sent out queries throughout the U.S. to find the technicians who are best suited for your needs. Please visit this page to learn which techs service your machine, where they are located and how to contact them. Go to the Services tab at www.madeirausa.com. My Company (Madeira USA) has asked me to try my hand at writing the Madeira Blog. I think they did it because I’ve slowed down a bit in the last few years; I used to be on the road, selling thread (sewing and embroidery) for more than 200 days a year and now I work four days every other week and they want to keep me busy. You know the saying about “idle hands.” That is not to say that I don’t answer the phone when I’m not (officially) working, if you or one of my other customers or one of my colleagues calls, because I do. I’m just an old firedog answering the bell whenever it rings. 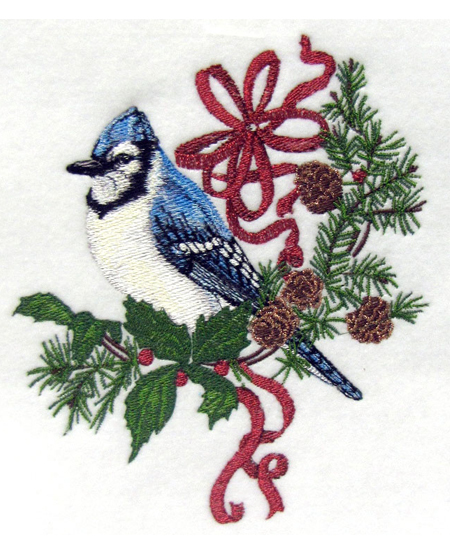 Additionally, and more importantly, I have more than 20 years’ experience in the embroidery business and they feel I have something to contribute in terms of helping to educate embroiderers and, oh yeah, help them be more $uccessful! So I thought I’d begin blogging by addressing some of the questions I’ve heard time and again, mostly from embroiderers new to the business, but from veterans as well. And I’ll try to be brief and to the point because I know you’re busy. Standing in the Madeira booth at an industry show or in my Madeira shirt on a sales call, I’m invariably asked, “Which is the best brand of thread?” or “Why should I use your thread?” Now, I’m always momentarily tempted to extoll the many virtues of our thread and the many reasons to do business with Madeira. But really, you’re the best judge of which thread is “best.” And here’s how to do it. Google “embroidery thread” and (discounting the ads from Amazon and others like it) call or email each of the thread manufacturers and distributors. Tell them you’re new to embroidery and ask for a thread sample and a thread card. If they ask you for your credit card number, cross them off your list. If they want your business, they will be happy to enter you into their data base and send you the sample(s) and thread card (I know we will). There are three benchmarks for you to determine the “best” thread for you. 1. How does it perform? Comes off the spool (or cone) smoothly? Sews design after design without thread breaks? 2. How does it look? This is how your customer will judge your embroidery. Does it look like you want it to be representative of your craft and business? 3. Is it a good value? Here we have a blend of many elements: the cost per unit, of course, but factored by thread quality, availability, shipping costs (how close is the shipping point), color selection, ease of ordering (mail, phone, fax, on line, email), great customer service (source of information and advice), one-stop shopping (everything you’ll need in one place), etc. Madeira USA is pleased to announce that it is now distributing reflectra® brand Stitchfoil, a trend-setting reflective appliqué material that offers embroiderers limitless possibilities. With exclusive distribution in the embroidery portion of the Decorated Apparel Market, Madeira will offer all 40 color and design options. This new addition to Madeira’s extensive list of embroidery thread and supplies creates reflective and special effects. The brightly colored foils can be used for visibility in all lighting conditions. Special “hidden” effects can also be created. The reflectra® Stitchfoil is a thin, elastic transfer foil based on polyurethane. All basic materials used in the manufacturing of Stitchfoil are ecologically friendly and free from PVC, softeners and heavy metals. The ingredients for this product are Oeko-tex® certified. Stitchfoil comes in sheets that are 18 ¾” x 12 ½”, so that one sheet may serve for several designs. Customized colors, Pantone®-matched colors and patterns are available with a low minimum purchase of 200 pieces. “We know that our customers are always on the look-out for something new and creative,” explains Madeira USA President Shirley Clark. “Something unique that sets them apart from their competition,” she continues. “When we discovered the properties of this cost-effective appliqué material at the Long Beach ISS show in January, we immediately saw its potential and began taking steps to bring it to market.” Reflectra® Stitchfoil is suitable for transfer to various materials including cotton, mixed fibers made of polyester/cotton and polyester/acrylic, and is used to decorate t-shirts, sports and leisure wear, caps, bags and items like flags and pennants. Here at Madeira, we love incorporating metallics into embroidery designs. With a little know-how, it's easy to do and can elevate the look of a finished product. 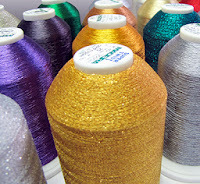 Metallic embroidery thread comes in a wide range of colors, textures and weights, offering a tremendous amount of choice. The hard part is deciding which to use! In case you missed it, the July 2012 issue of Printwear Magazine featured an informative and inspirational article on embroidering with a multitude of metallic threads. 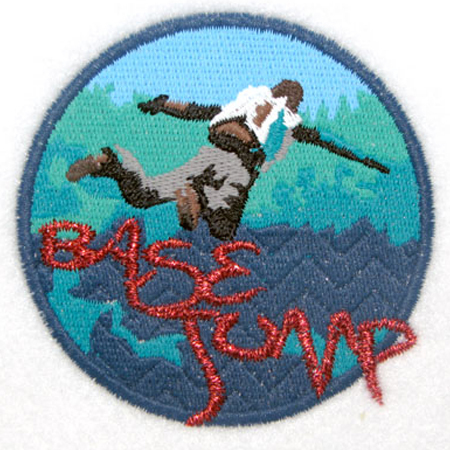 Written by award-winning digitizer Bonnie Nielsen with digitizing veteran Pat Williams, they touched on many of the issues embroiderers may face with metallic thread. Visit http://read.uberflip.com/i/72515/72 to read this article! of the embroidery and brings a festive feel to the design. Embroidered with Classic Rayon #40, Frosted Matt #40 and Supertwist #30.